One of the greatest misconceptions about purpose is that it’s only confined to that what which we’re passionate about. In reality, fulfilling purpose is defined by that which burdens us, and in the case of Jose Rodriguez, it was poverty. What started out as an attempt to bring ministry into schools, pivoted when he was faced with roadblocks as a religious organization entering the public sector. He didn’t want to just work with Christian clubs, but rather those outside that faith-based ring. And so, Jose took the entrepreneurial approach, by addressing urban needs with a Bible in his back pocket. As someone who grew up in poverty, Jose knew the crippling effects poverty could have on one’s future. The topic alone kept him awake at night, seeking a way to break the correlation between poverty and pipeline outcomes of education, prison, and violence. Rather than it being a theory he considered, it became an avenue by which he actually ministered to students. Unlike a traditional ministerial trajectory, he flipped the standard by first finding a need, and then determining his required skill set. 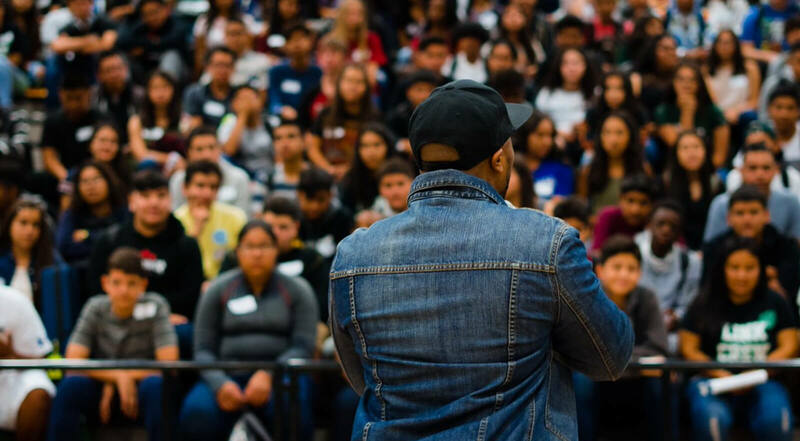 Jose became a certified life coach, and built a curriculum that would rethink the way we engage youth within their own schools. Leaning on his business mentors, his study focused on teaching principles that would shift the way students think — particularly in urban environments— and ultimately change their entire lives. After introducing his curriculum to the school, Jose was invited by one teacher to talk about next steps. She explained that their district had adopted a positive behavior intervention program that implemented citations to middle schoolers for loitering. It was an effort to get the parents involved in their children’s future. The program somewhat backfired however, leaving students with permanent records for not appearing in court with their parents. Only when students were ready to apply to college, would they realize there were warrants out for their arrest. With parents apathetic, and teachers unable to discipline students any other way, the youth were on a futureless path. That’s when the teacher explained the Tier System. Tier One is good performance, Tier Two is repeat offenders and suspension referrals, and Tier Three is on the verge of continuation school. The teacher asked Jose to step in and help salvage the future of Tier Two students. With 12 students under his wing, Jose spent six weeks building relationships with these kids. The result wasn’t that their grades improved, but rather that they simple didn’t skip school. With an increase in attendance, Jose considered their adopting this life principle a big win. After the success of that first round, Jose has been contracted by multiple schools to coach students back to behavioral health. His weekly visits have made such an impact on the community, that he has now turned his study into a video curriculum available to bi-vocational youth pastors. Expanding the entrepreneurial side, Jose’s team now stipends youth pastors to help meet a need he can’t solve alone. While the business is still growing, along the way he’s kept the right mentors close, asked a lot of questions, and allowed the right people to pour into his life.